deepen your practice. gain new skills. find your why. Maybe you’re here because you’ve got big dreams and a limitless imagination. Maybe you’re here because there’s a faint voice in the back of your head asking you to challenge the boundaries of your comfort zone. Maybe it’s pure curiosity that brought you here. Regardless of what brought you here, you’ve landed right where you need to be. Ready to be a part of something bigger than yourself? We get it. We like to live life a little against the grain, too. We’re a little rough around the edges. We tend to march to the beat of our own drum. We see you, we know you, and we’re here to help you cultivate the life you envision and accept nothing less. If you’ve been feeling called to take the next step in your yoga journey, dig deeper, push yourself a little harder, connect with other inspired humans, guide + empower others and begin a journey of greater self-reflection… this is where it all begins. Our 200hr Yoga Alliance-registered Teacher Training program is the first step to a path of authentic transformation - for yourself and everyone around you. Our registered teachers will support, uplift and mentor you through this profound journey that will reveal a strength within that you never knew existed. All the tools you need to be an extraordinary conduit of healing rest within that big, beautiful beating heart of yours - We’re just here to show you how to bring that magic to the surface. It may not seem like it now, but your life is about to change. Get ready to meet your most elevated self & love the life you choose. Who ever thought summer school could be so chill? This 4-week intensive will move quickly, but you’ll feel more grounded than ever. Start your summer strong and empowered, end with official Yoga Alliance certification under your belt. Spend less time in training and more time doing what you came here to do - spreading your love and sharing your life. This training will take place Monday-Friday for 4 weeks in June. Training days will go from 8am - 7pm. Off weekends. This is the perfect training for students, teachers, or anyone else with a little bit of free time in the summer! INVESTMENT | Includes complementary yoga for the months of June & July 2019 FULL PRICE: $2,600 | EARLY BIRD: $2,100 if you enroll by 05.05.19. PAYMENT PLANS AVAILABLE. $500 non-refundable, non-transferable deposit required to hold your spot. A $200 financing-fee will be applied to the total cost of your tuition*. Tuition must be paid in full by the last day of training in order to obtain your official certificate of completion. *If you pay your tuition in full by 05.05.19, your financing fee will be waived. This 8-week yoga school will equip you with everything you need to find your flavor + voice as a teacher. In just 2 months, you will be able to confidently dive deeper into the healing arts and discover your path as a mindful & compassionate guide. It’s time to cultivate the life you’ve always dreamed of. This training will start the first Friday in September and go through the last weekend in October. Training days will be held on Friday evening, all day Saturday, and all day Sunday. This is the perfect training for anyone looking to expand their journey/skill set outside of their weekday routines & commitments. *If you pay your tuition in full by 08.23.19, your financing fee will be waived. What are you waiting for? Take the YTT plunge at our East Dallas Palace! 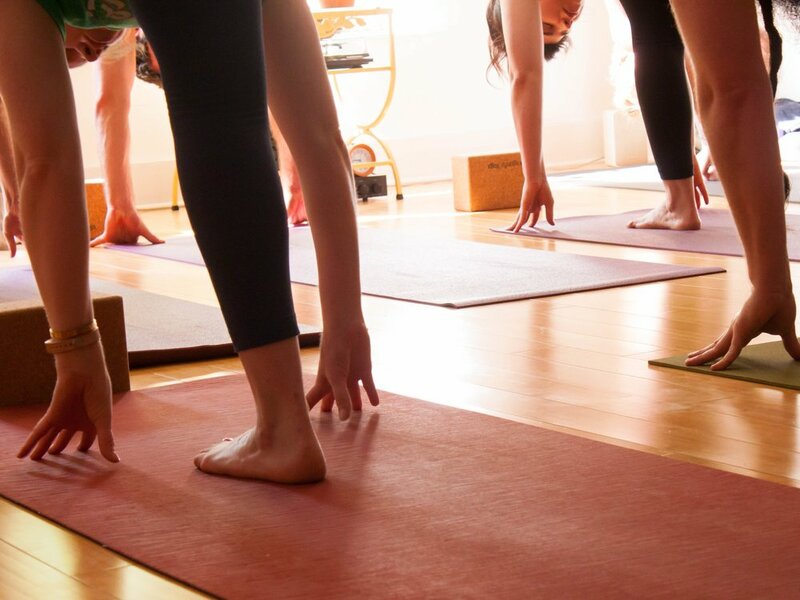 Submit your $500 deposit to secure your spot in our upcoming Summer or Fall Yoga School. We’ll reach out and get you set up from there. + Yoga Sutra + History & Philosophy: The principles, pillars and basic teachings of yoga. Dive deep into the rich + expansive history of yoga. Learn how the foundational structure of our vinyasa practice came to be. Gain a deeper understanding of the philosophical theories + ideas behind yoga and how they elevate our modern-day practice as a whole. + Asana: Understanding the structural alignment and energy benefits of major postures. + Sequencing: How to form an effective practice for yourself or others in three styles – Vinyasa (with traditional & modern foundations), Gentle Hatha and Restorative Yoga. + Adjustments: How to observe, cue and adjust bodies in a safe & transformative manner. + Anatomy: Basic anatomy as it pertains to the science of yoga. Understanding the different muscle/structural groups + transversal planes of the body and how they move through a yoga practice. + Intro to Ayurveda: (Ayur = life, Veda = science or knowledge); Utilizing the power of nature & herbs to cultivate mind, body + spiritual harmony - on and off of the mat. + Modern Magic: The metaphysical elements that support & enhance the yoga practice, lifestyle and experience. This module will take a closer look at crystals, essential oils, reiki, subtle body healing and more! + Pranayama: Control of the breath - the life force of your yoga practice. We'll explore a multitude of different breath techniques to compliment different styles of movement. + Yogi-preneurship: How to build your "brand" as a yoga teacher in an authentic, sustainable manner. Learn how to build your student base and market yourself as an instructor/practitioner.